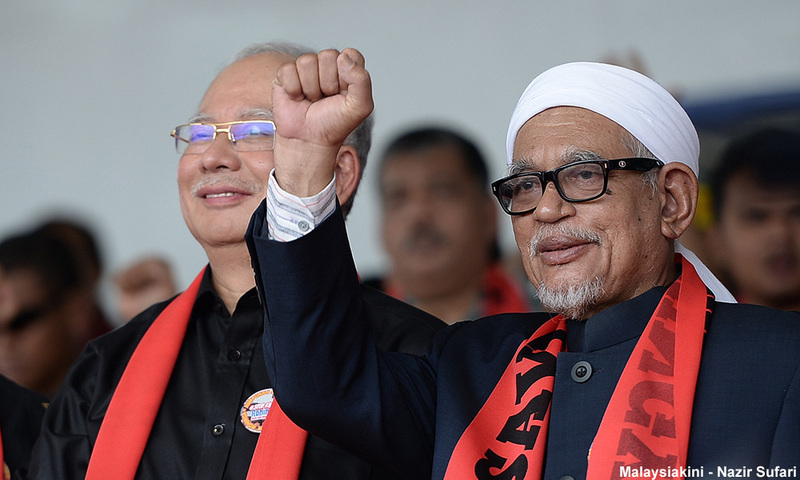 Prime Minister Najib Abdul Razak, in a New Year's message today, slammed the federal opposition's conduct, and contrasted it to that of PAS president Abdul Hadi Awang, which he described as the "better way". Najib noted that the opposition had a role to play, but said it was irresponsible of politicians to oppose for the sake of opposing, even when they secretly agree with the government on certain policies, such as the GST or the 1Malaysia concept. "Opposition figures concede privately that they are in favour of this concept to promote national unity – as all patriotic Malaysians should be – but they have opposed it for deceitful, personal political ends. This is shameful. 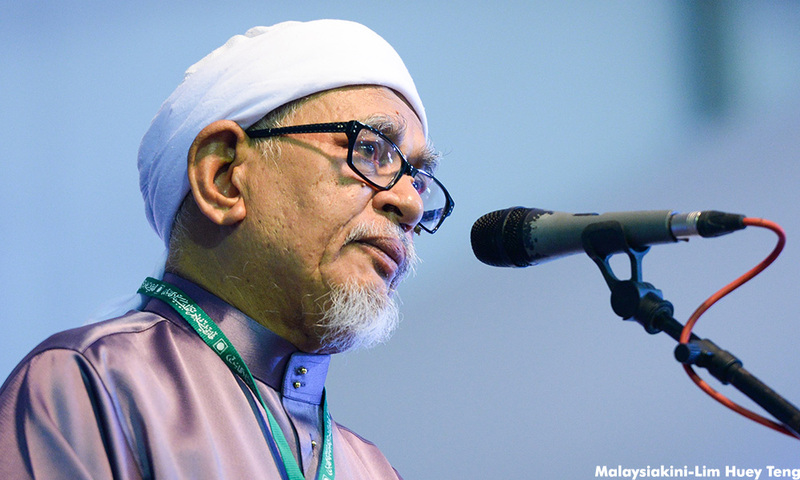 "A better way has also been shown by PAS under the leadership of Abdul Hadi Awang. "We are in different parties, but we surmount those divisions when it comes to matters of common interest, such as supporting the causes of the Rohingya and the Palestinians," he said in the message uploaded on his official blog. Najib described this as "matured politics" which helps build the country instead of trying to burn it down. 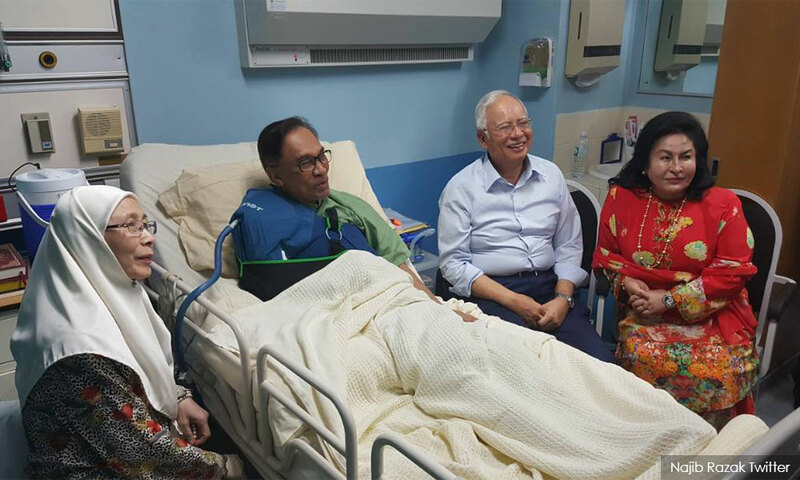 Likewise, Najib also alluded to his visit to see imprisoned PKR de facto leader Anwar Ibrahim when he underwent a shoulder surgery. "We can have differences of opinion, of course, but we should still be decent and have decorum. "That should be accepted and understood in a civilised society, for we do not believe in, and nor will we return to, the viciousness practised under a former leader," he said in an apparent reference to former prime minister Dr Mahathir Mohamad. In contrast, Najib accused the opposition of attempting to sabotage the Malaysian economy by making "wild and false" claims. "Neither is it acceptable for a former leader to attempt to overthrow a democratically elected government in the hope that his ambitions for his son may be realised. "In a democracy, all that should matter is the wishes of the people as expressed at the ballot box, not the selfish dynastic desires of one man," he said. 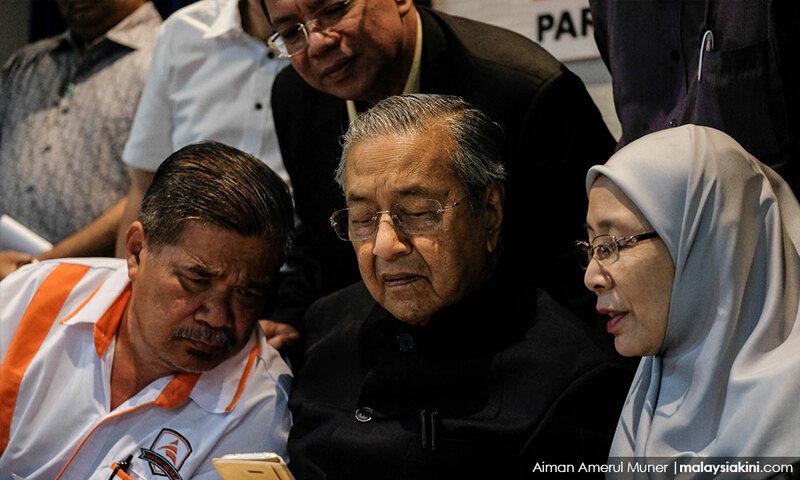 Mahathir is the chairperson of Pakatan Harapan, while PAS had decided to go its separate way, forming its own coalition known as Gagasan Sejahtera characterised by a friendlier approach to the government. After contrasting the different opposition fronts, Najib said this was a choice that will be presented to Malaysians next year when the general election is held. "A government that has continued to work for their betterment, with a clear direction and policies to move Malaysia forward in the short, medium and long-term – or parties who can only campaign negatively, hoping to cause public anger and unhappiness to win votes, because they have nothing to offer Malaysians but division and populist illusions that would damage the country. "Electing the government is a serious business, and we are confident in the wisdom of the people," he said.